The first volunteer for the MeBO-Biolab gut dysbiosis study has completed his tests. The study is intended to look at various aspects of 'gut dysbiosis' in relation to metabolic body odors and halitosis, to see if there are any patterns. The tests were chosen to examine various aspects of 'gut dysbiosis' (though not all). The gut fermentation test is regarded as being reliable for testing candida overgrowth in the small intestine (using ethanol as the marker). It also tests for other alcohols and fatty acids associated with bacterial dysbiosis. The gut permeability test examines the persons absorption ability, as well as testing for 'leaky gut' (hyper-permeability).The d-lactate test was chosen because a recent chronic fatigue paper suggested that d-lactate acidosis may be implicated in many chronic fatigue cases. It is also hypothesized that a bi-product of this could be hydrogen sulfide production. The indicans test is an inexpensive test associated with protein putrefaction by bacteria. The first testers results seemed to be mostly normal apart from some 'hypo permeability', which is decreased absorption of some smaller sized molecules. At the moment, we could not suggest what this could be, except a slight malabsorption issue. This is the opposite of 'leaky gut', in which case, molecules would be too large get through the gut semi-permeable wall. The 2nd volunteer is now testing, the 3rd will start soon, and others interested are welcomed to volunteer if they wish. The expert that is kindly helping us, Dr. Irene Gabashvili, has sent these comments about the results to the tester. Each tester will also receive such comments from her based on their test results. Lining of the intestines has a few relatively large pores and many small pores letting small molecules to pass through. Leaky gut means more large holes in the gut that let larger molecules to enter the blood stream before they are broken down into "edible pieces". In some other conditions, the number of small pores and entire intestinal surface area gets reduced - tightening the gut and slowing down the normal flow, decreasing intestinal permeability and causing malabsorption. Sometimes decreased permeability is because of vegetarian diet, fasting or smoking. MeBO is continuing with this line of study, and anyone is welcome to participate. Unfortunately, each participant would need to pay for the tests themselves, which in total would be £146 if all tests are chosen by the tester. MeBO will collate the non-personal data and look for a pattern from amongst all testers under the direction of Dr. Irene Gabashvili. MeBO hopes to continue such tests and aspires to become a charity. 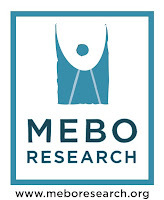 As a charity, MeBO can then pursue grants and endowments in order to carry out large-scale international studies. Anyone wishing to donate to MeBO's aims to further support this and other studies could do so using the PayPal button in this post and in MeBO's website. Your support would be greatly appreciated by anyone suffering from a body odor condition who is looking for answers. Anyone who would like to be part of the study could do so by filling out the MeBO-Biolab gut dysbiosis in body odor or halitosis study form-REVISED. Or you can contact Maria by email at meboresearch@gmail.com.